This L shaped nose stud is nice and easy to insert into your nose piercing and the bend in it will keep it sitting in place nicely. 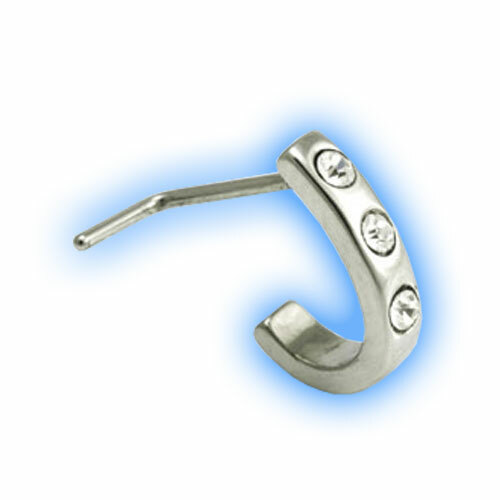 It features a wrap around design that is really unusual and looks amazing in a pierced nostril. It is made out of 316L Surgical Steel and is 0.8mm (20 gauge) in thickness. The front design wraps nicely around your nose piercing and has 3 gem circles available in a choice of 4 colours.